Nico's advantage today was of the same order, with seven tenths on his stable mate in the final Saturday reckoning. He has the added bonus of a car between him and Lewis too on tomorrow's grid. Thus he is rather in the box seat to leapfrog him to return to the championship summit. So much for - in a common anti-Nico barb - that he can't perform when it matters. And he didn't even sound that overwhelmed at achieving it. On his cool down lap he spoke calmly of a "pretty cool qualifying", then he reviewed it all afterwards with similar sangfroid. 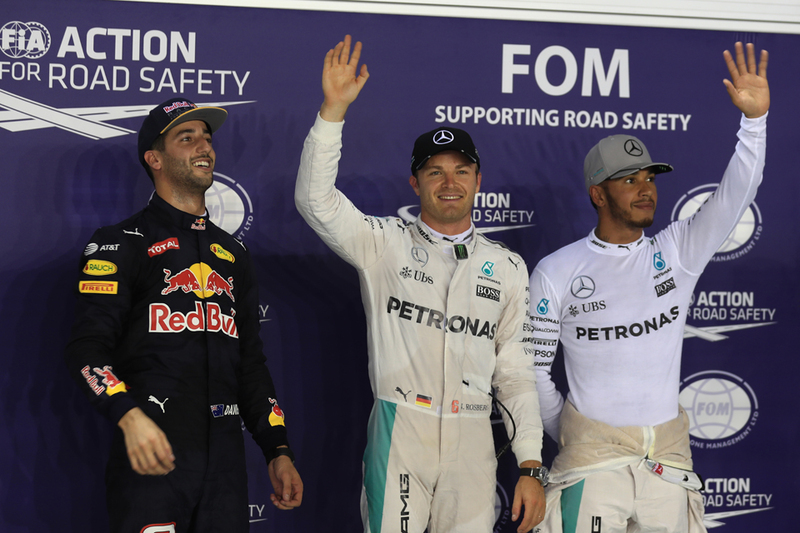 "Yeah definitely happy with that one for my 200th Grand Prix - for sure one of my top three laps ever," Nico said. "Happy with that, really went well...I knew I had to give it everything and really pull one out of the bag which is cool. Great feeling." That way of things continued in qualifying, indeed Nico seemed to stretch ahead further. That Lewis topped the first part was rather the inappropriate calling card, as Nico regained the advantage, and of around four tenths, in Q2 and Q3 is of course where we came in. Rather underlining his pomp his vital lap was done on the first Q3 run, while neither Merc improved second time around. In Lewis's case it was down in part to another mistake, this time over a kerb. And he afterwards focussed on his disrupted weekend. 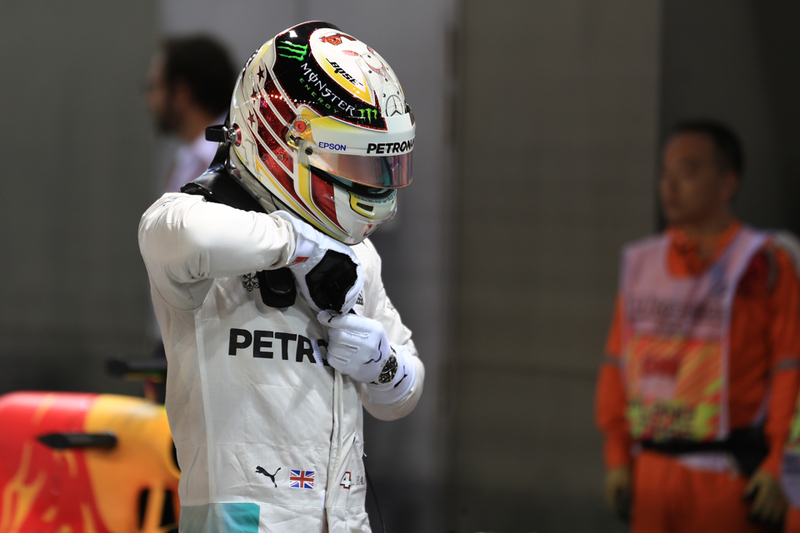 "It wasn't really a frustrating session" said Lewis of qualifying, "it's just not been my weekend so far. Not really got many good laps out there and not been able to string them together. That was the case today. 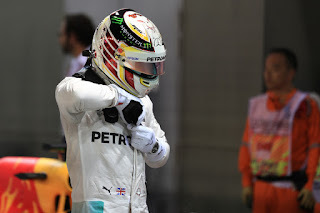 Nico did a great job, he showed the true potential of the car." He sounded also oddly defeatist for tomorrow's race, at least as far as his team mate is concerned. "Hopefully tomorrow I'll try to get that one step up to get that front row for the team." 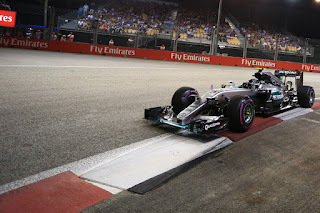 As mentioned too there is a car between the Mercs, yet Nico can't treat it entirely as a buffer. Daniel Ricciardo in the Red Bull was for many the Singapore favourite before running started. Merc as noted delivered a firm reality check to that but Ricciardo still was in close enough range to split the silver cars after a fine late effort. His boss Christian Horner described it as a lap "that really came from nowhere". Ricciardo also gets to start tomorrow on the supersoft tyre rather than the less durable ultrasoft, plus the Bulls' race runs in Friday practice looked good, particularly towards the end of stints. But Nico has over half a second on him to play with. 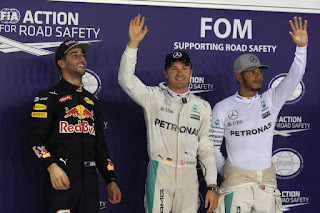 Rosberg probably struck the right balance afterwards in his words. "Worried, no" he said of Ricciardo, "but for sure I'll be keeping an eye on him yes as they were quick on race pace on Friday, I think more so than on the qualifying pace. 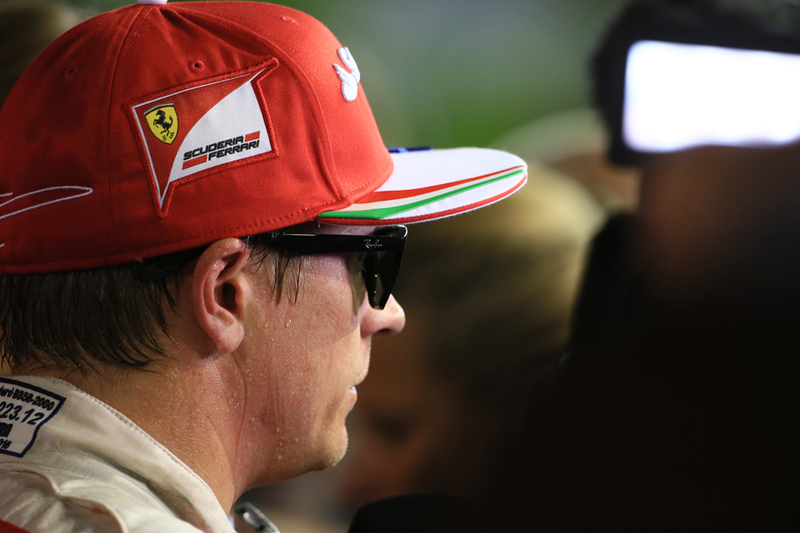 For sure he'll be a threat, especially with that supersoft tyre." 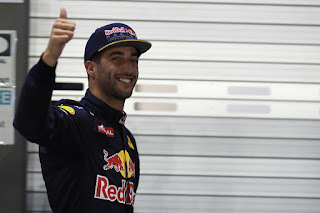 While Ricciardo stated that "we knew it would be hard to try and get in front of the Mercedes. It was nice to at least get one. We made improvements for qualifying. Through practice we were still trying to find some stuff with the car and it finally came good in qualifying, got better...The last lap in Q3, it was clean". The use of underwhelmed prose clearly was contagious. Max Verstappen - who also starts on the supersoft - meanwhile was a couple of tenths shy of his team mate and starts fourth. "No I'm not happy" he said later, "[the] balance was not like I wanted to, could not warm up the tyres, a lot of front locking. And if you don't feel comfortable in the car around this track it's just very difficult." As ever with Ferrari in 2016 a promising weekend rather fizzled out when it mattered. In Sebastian Vettel's case the fizzle could hardly have been more spectacular as an apparent front anti-roll bar failure in the first part of qualifying consigned him to starting dead last. This as noted is Monaco aside the worst track for such a starting point most probably. Kimi Raikkonen has at times this weekend looked capable of getting in among the Mercs and Red Bulls but in the event he trailed Max in for P5, two tenths shy of the teenager. The Finn's words afterwards were a little condemnatory too. "It's been a bit closer in the practice but practice doesn't give you a true picture always" he said. "The car is behaving well but just is lacking a bit of overall grip to go faster. It's disappointing, fifth, but I think we got most out of the car." Carlos Sainz not for the first time reminded us of his star quality by being best of the rest in P6. "Very pleased, I think after so many tough races it was time to go back were we belong, where I belong..." he said with justification. He had noted prior to this one that with the horsepower that the year-old Ferrari now cedes that this likely is Toro Rosso's last opportunity of 2016 for points. It seems a terrible pity, for more than one reason. 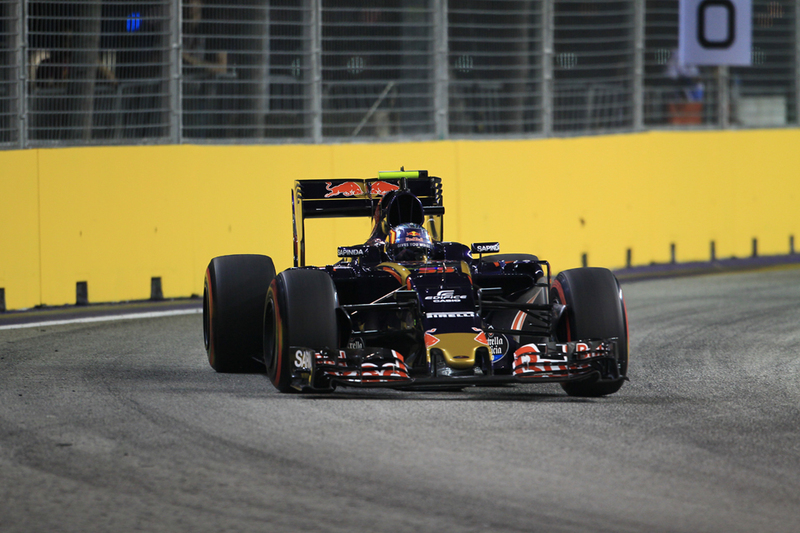 His team mate Daniil Kvyat had a mini-upturn and starts next up, with a best time a quarter of a second off Sainz's. Still, with all of the considerations outlined in the opening paragraphs about the battle at the front, we shouldn't get too far ahead of ourselves. Nothing is handed out on a Saturday and in the race, particularly after a standing start in a season in which Merc's launches have been persistently iffy, things can look very different very quickly. Indeed we only need to go back to the previous round to find a quintessential case - then in Monza Lewis looked about as imperious after qualifying but was definitively not so at turn one. You can add that here too any places lost off the line are likely to be carried for a while, plus that safety cars and the like are common, and the potential for disruption of any victory march is clear. While if another parallel with Massa's tale from 2008 awaits then that is very bad news for Rosberg.